By Patrick James on 2018-06-03 - The author has been a motoring writer for more than 16 years. Formerly motoring editor at the Coventry Telegraph, he now produces motoring copy, on new car launches and road tests on a freelance basis. 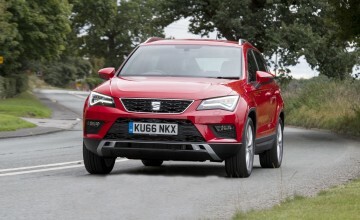 IT was inevitable that SEAT would join the mid-sized SUV party, a lucrative market which continues to grow. It was also inevitable that, just like stablemates Audi, VW and Skoda, it would offer something a bit special. 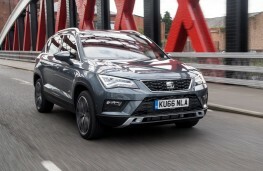 Because of the sheer variety of choice on the market, they need to look good and with SEAT's sporty tradition, that was something of a given with the car bearing the firm's trademark styling cues. 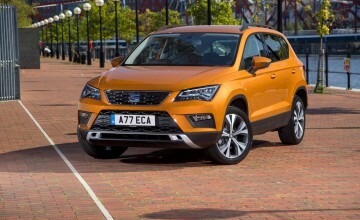 Ateca becomes the "third pillar" of the SEAT brand, alongside the Ibiza and Leon says the firm. 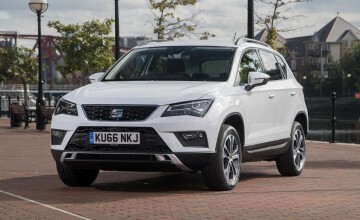 It looks good, has a good choice of efficient, but feisty engines, is practical, as an SUV should be and has an attractive price tag. 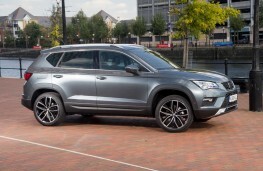 The power plant range includes a new 1.0 TSI in this model, 1.4 Eco TSI and 2.0 TSI petrol and 1.6 and 2.0 TDI diesel units, with a power range from 115 to 190ps and five equipment grades - S, SE, SE Technology, FR and XCELLENCE. 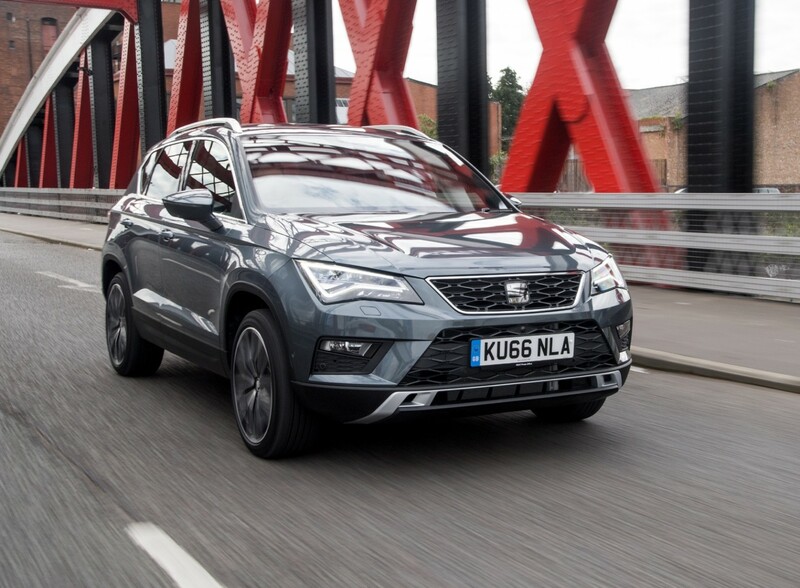 There is no mistaking the SEAT DNA with the Leon-inspired trapezoidal grille, triangular light signatures, high set grille, large air scoop and distinctive daytime running lights and on this model, aluminium roof bars, chrome window surrounds and 18-inch alloy wheels. 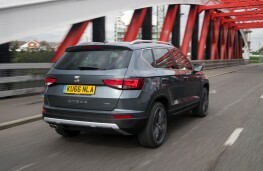 A nice touch are the puddle lights which project the Ateca name and silhouette on to the ground. 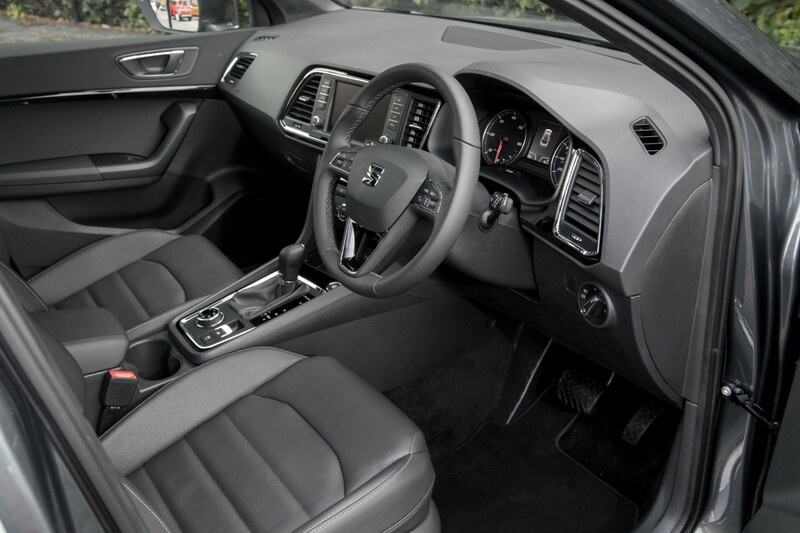 The interior is excellent with well laid out dials and control, soft touch finish and neat trim to doors and steering wheel. Centrepiece is the SEAT Media System with touchscreen controls and Full Link smartphone integration for Apple or Android phones as well as infotainment and navigation system. There is also a 3.5 inch driver display screen. 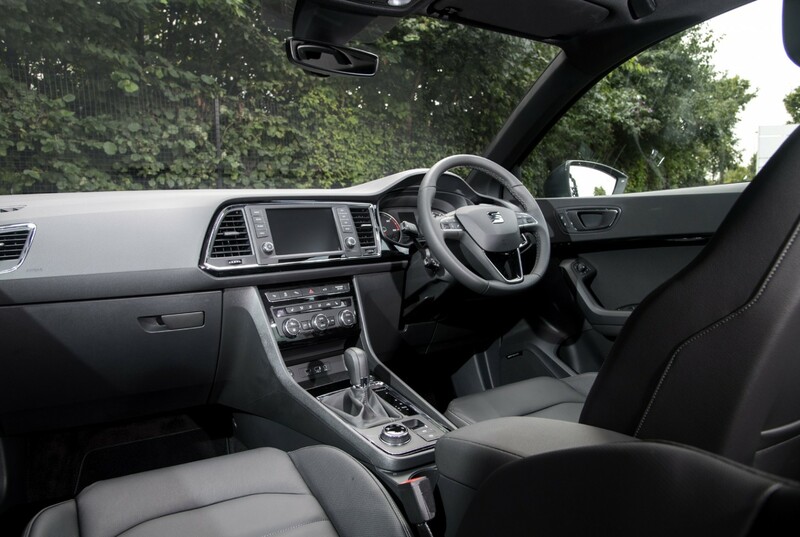 It offers a good range of standard equipment, even on the entry level S grade, with air conditioning, media touch screen, Bluetooth, electric parking brake and safety kit like tiredness recognition, emergency braking and pedestrian protection systems as well as a full range of airbags. This model adds cruise control, dual-zone climate control, SEAT Drive Profile, electrically adjustable heated and folding door mirrors, sat nav, DAB digital radio and the excellent, but optional, 360 degree parking camera. 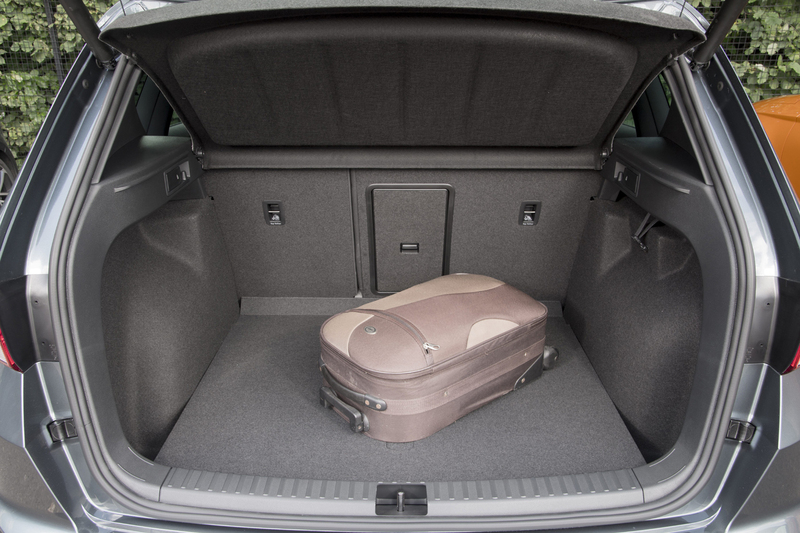 It has a highly flexible interior space with boot capacity up to 510 litres with rear seats in place, 1,604 litres with rear seats folded. 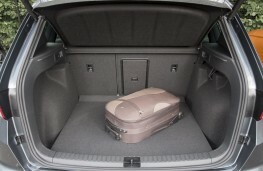 There is less space, however in the four wheel drive model. 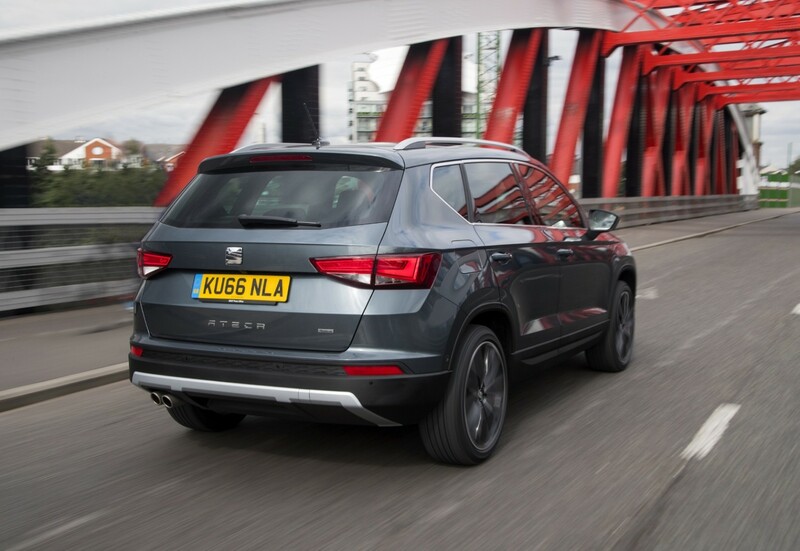 With their sporty pedigree, SEATs drive well and the Ateca is surprisingly good for the type of vehicle. The agile handling comes via the with suspension developed for the Leon and includes multi-link rear axle for the 4Drive versions. The ride however is definitely on the firm side. The real star of the show however is the 1.0-litre three cylinder petrol engine. The 115ps turbocharged unit is surprisingly spritely, hitting 60mph in 11 seconds, if feels quicker, with a claimed 53.3mpg and CO2 emissions of 120g/km. There is bags of torque for the motorway and the typical throaty rasp from the three cylinder engine is pleasant in the back. It packs a punch which belies its relatively tiny size, and mated to a typically slick six-speed gearbox, make for an entertaining drive.